I enjoy Halloween at my house. 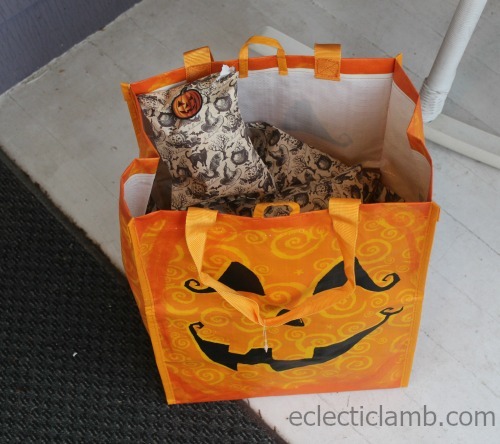 Typically on October 31 I receive 250-300 trick-or-treaters in a 2 hour period from 6 pm until 8 pm. 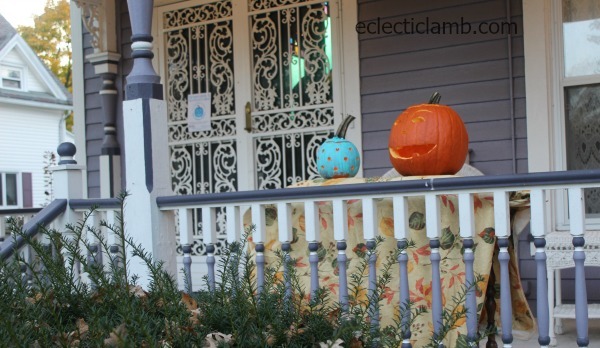 I make it obvious that I am open to hand out treats – carved and lit pumpkins and I turn my porch lights on. I have a tradition that I give something special to the first 20 kids. I tell them that they are the first 20 but they don’t seem to care because I never had kids coming to my house the next year looking for the special treats. I do it for myself – it is fun. 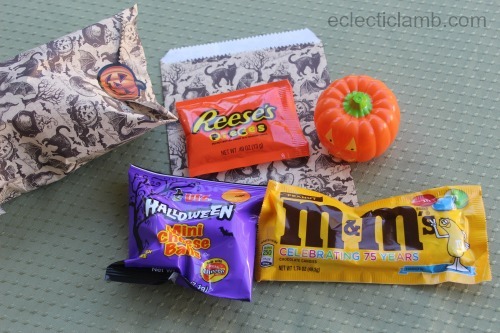 The above photo is what I gave to my first 20 trick-or-treaters this year. My porch before it became dark. This was my third year to participate in the Teal Pumpkin Project. 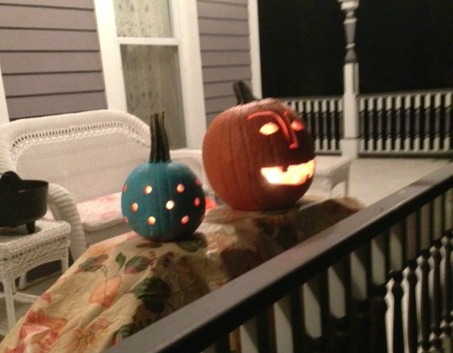 I wanted to try something different with my teal pumpkin so a friend and I drilled holes in it. 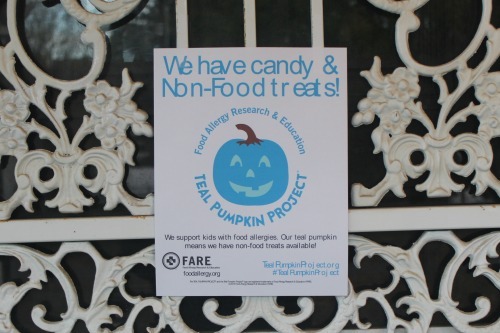 I had non-candy treats available upon request for children with food allergies. This year two kids made the special request. 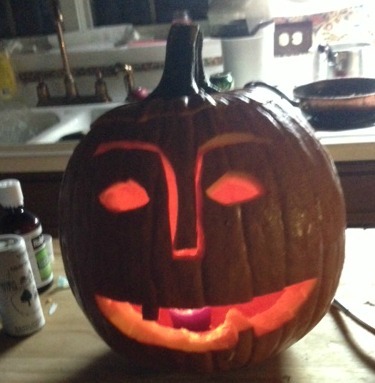 I tried a different type of nose this year. I like it. Yes, I know in this photo you can see my messy kitchen but it is realistic and not too messy. 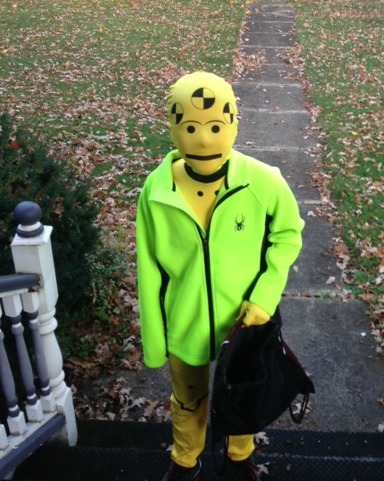 I was comfortable asking this trick-or-treater for a photo since you can’t tell who it is and it was actually still light out.